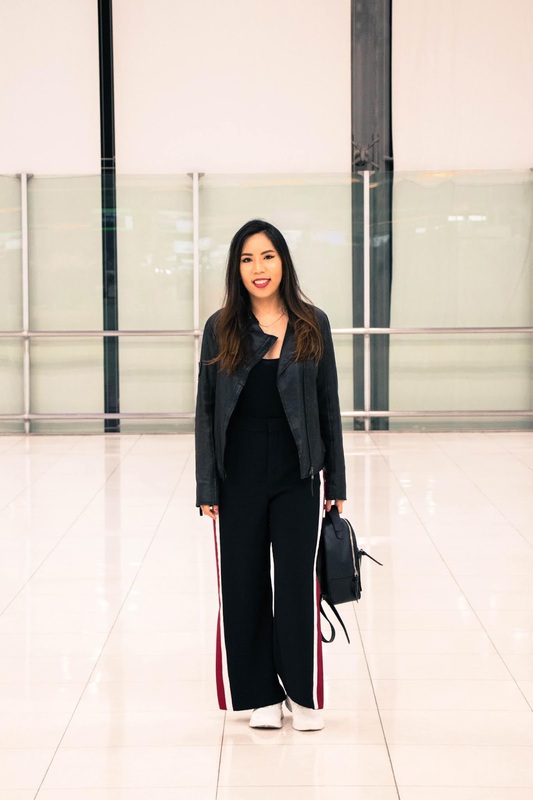 Comfort is key when it comes to in-flight wear on a plane. 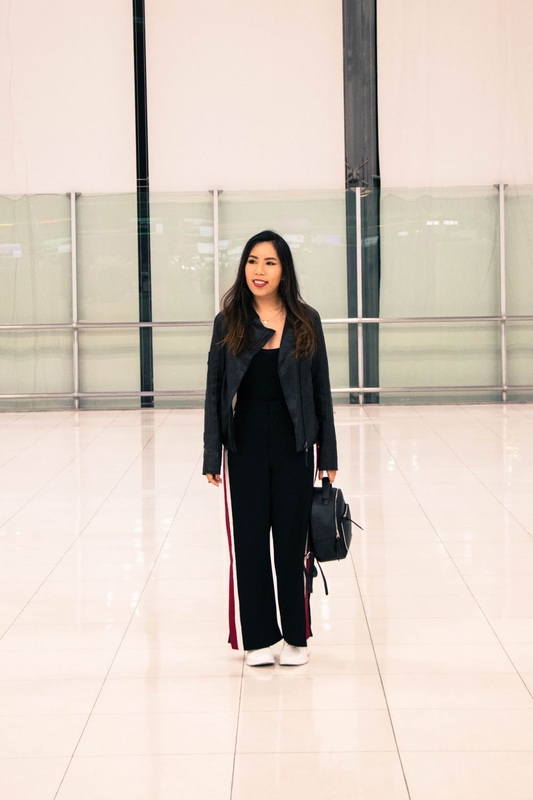 It was during a 12-hour red-eye flight from Bangkok to Brussels that I decided to go with a simple black bodysuit (from Forever 21), and to avoid freezing on the plane, I dressed it up with an Italian quality black leather jacket (from Maledetti Toscani). 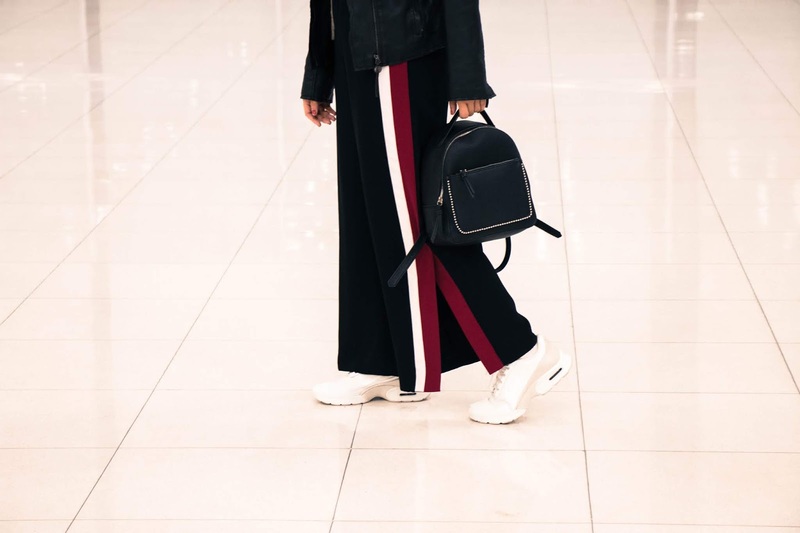 For the bottoms, I picked Zara’s wide trousers for comfort, and because the trousers have a sporty look, I decided to go with the same direction by wearing my minimal white Nike trainers. Stradivarius' backpack and Nike's white shoes. For the bag, I picked a black backpack (from Stradivarius), which is super functional and goes very well with the leather jacket. 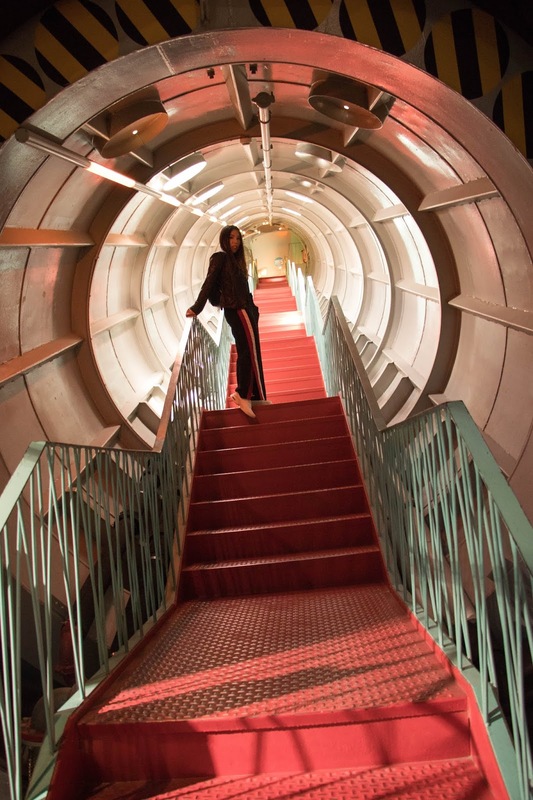 My flight arrived in Brussels in the morning, and I planned to go straight to the Atomium, so I wanted to wear something that fits the modern atomic design of the attraction. For makeup, I decided to go with a classic wing and red lips look. I think it was a nice touch to balance the red on the lips with my trousers. Lastly, for accessories, I wore a pair of hoop earrings from Forever 21 because I needed to finish with a bit of swag.